Westpac and St.George have announced plans to roll out mobile banking services for the new Apple Watch, while Australia Post has also launched a smartwatch app for parcel delivery. Westpac claims to be one of the first in the world to provide mobile banking on the Apple Watch, and said the offering gives customers easy access to account balances, finding their nearest ATM or branch, and receiving travel notifications at the airport to advise the bank of their travel plans. The app follows on from Westpac Group’s long list of digital investments for customers, including fingerprint logon on Android and iPhone, and Westpac Get Cash, which enables customers to withdraw cash from a Westpac ATM without a card by having a code sent to their phone. Westpac contactless payments also allow for overseas travel notifications, while Global Alliance provided overseas alerts to notify customers of their nearest Global Alliance partner ATM. “Providing customers with a variety of ways to manage their money, whenever and however they want, is a priority for us, and the latest iteration of that is Apple Watch,” Westpac’s digital general manager, Harry Wendt, said. About 370,000 smartwatches were purchased by Australians last year alone and with the Apple Watch already being pre-ordered across Apple stores, Wendt said uptake highlighted the voracious appetite for new technology devices across the country. “By offering secure banking on the latest Apple device we are giving our customers even more choice in how they want to interact with us,” he said. St.George’s CIO, Dhiren Kulkarni, said the bank’s app includes features such as ‘Quick Balance’, where customers can quickly view their account balances directly from their wrist watch. The app is set to be enhanced on an ongoing basis, following the success of the bank’s current Android smartwatch app with its biometric logon capability and the introduction of iBeacon technology, which delivered a personalised experience every time a customer enters a branch. Australia Post also announced its take on the Apple Watch app this week, offering up a tool that allows consumers to view parcel delivery information as well as track parcels. Customers will also be able to use mobile devices to open open parcel lockers scanning their watch, the company said. 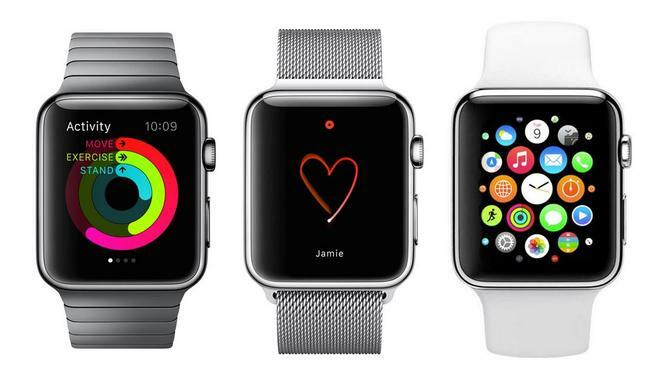 Read more Apple Watch: Must-have customer app or another gimmick? "The new Apple Watch app is the latest in a series of digital innovations Australia Post has been working on to provide easy to use experiences for customers who want greater flexibility in managing delivery services,” said its executive general manager for information, digital and technology, Andrew Walduck. The app syncs back to customers' MyPost accounts, and customers can track, schedule or redirect many deliveries as well as receive notifications when there is something to collect.